From the website: Although we have mentioned its benefits so many times in the past, while 3D printing is substantially cutting back on waste within the manufacturing industry, it’s actually creating hundreds of tons of waste annually within the consumer segment of the market. The majority of desktop 3D printers you will find in the homes of individuals rely primarily on thermoplastics, many of which negatively affect the environment in numerous ways. In the long run as the popularity of 3D printers continue to soar, there will be mounting concerns about the piles of discarded thermoplastics being sent to landfills worldwide. Because of these concerns, solutions are already being researched, with more environmentally friendly materials already starting to enter the market. Researchers Laia Mogas-Soldevila and Jorge Duro-Royo at the Mediated Matter Group, led by Associate Prof. Neri Oxman at the MIT Media Lab, are looking to take things a step further. They have been working on quite an interesting approach to natural biodegradable 3D printing techniques. In a process they call “Water-Based Robotic Fabrication,” the team has set out to utilize natural materials in a drive to enable environmentally friendly, but also perhaps more robust methods of 3D printing. 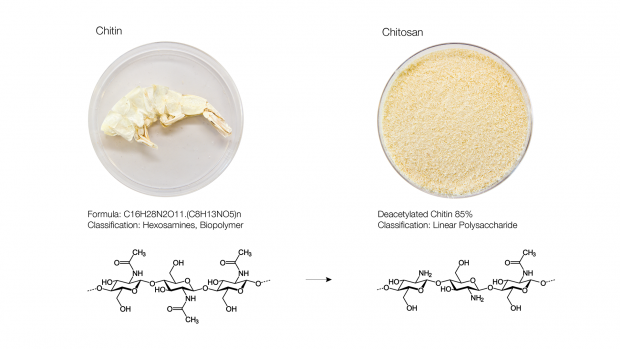 Working with a group of natural polymers called polysaccharides — which include cellulose, starch, hemicelluloses, chitin, and chitosan (created via the deacetylation of chitin), and are easy and inexpensive to obtain — the MIT team has been able to make substantial progress on their ambitious goals. 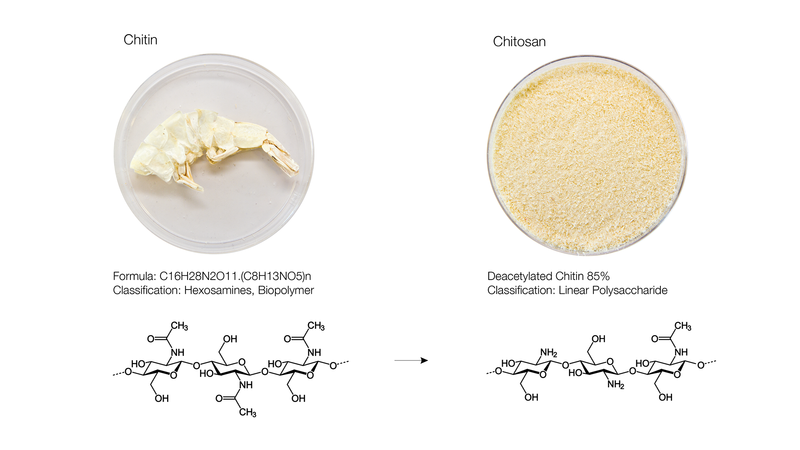 Polysaccharides, while possessing characteristics including structural and functional diversity and strength, have been shown to have the ability to replace traditional synthetic materials within the additive manufacturing process. The Water-Based Robotic Fabrication process relies on biodegradable hydrogel composites which are mixed together prior to extrusion and are capable of constructing large-scale 3D objects. The natural composite materials are able to be manually mixed prior to their entrance into the volume-driven extruder, or mixed as needed within the machine via the nozzle. An example of a mixture would be chitosan and sodium alginate at various concentrates. Since the control of the extrusion process is in the hands of the researchers, they were able to create a variety of composites without relying on the special formulations which are required with other traditional 3D printing technologies such as SLS, SLA, or FDM. Various natural polysaccharides are extruded into a single nozzle, mixing the materials as they are placed onto the build platform. The printer itself consists of a custom made multi-chamber extrusion system and also custom made nozzles, which were attached to a Kuka KR AGILUS robotic arm. The arm has a maximum reach of 1101mm and is capable of moving along a 6-axis setup. The total build envelope of the robotic arm printer is 1000mm L x 500mm W. With this method, once objects are fabricated, put to use, and no longer are needed, instead of sending them off to a landfill, they can simply be submerged into water, and broken down. Conversely, they can also be chemically stabilized via various agents and submerged in water without any degradation at all. Researchers also have worked on ways to provide shape shifting characteristics to these printed objects when they are introduced to water, or even objects which release nutrients while they are being broken down. The number of applicable uses for such materials within the additive manufacturing space could be staggering. Researchers were able to create 3D printable natural composites which are superior to the synthetic materials commonly used in mass manufacturing. There is still much research to be done before these types of biodegradable materials are able to be used in the creation of everyday products, but that time is certainly getting closer. This is an ongoing project, one which the group at MIT Media Lab are diligently working on. Currently they are developing techniques to provide a more capable inter-nozzle mixing system, seeking to use a helical screw instead of the static system they currently are working with. Additionally they are building a pneumatic extrusion system which uses air pressure to power the release of the materials in order to replace the current system which is volume-driven, relying on stepper motors. The Mediated Matter Group has told 3DPrint.com that substantial progress is being made, as the team is currently improving this technology, and intends to release a video of a full 3D printed structure. The Mediated Matter Group would like to acknowledge the TBA-21 Academy’s (Thyssen-Bornemisza Art Contemporary) support with an ongoing group project and research platform focusing on biodegradable additive manufacturing.